GREAT LOCATION! Enjoy your private east facing patio on this ground level corner 2 bedroom condo. Spacious Master bedroom with Flex area and walk through closet to cheater updated en suite. Bonus Insuite laundry. Laminate flooring in Foyer, kitchen and dining room and living room along with a charming wood burning fireplace with mantle. Sliding door to the generous sized partly covered patio. Well maintained complex with long time live-in caretaker short drive to Highway 1 and Simon Fraser University. 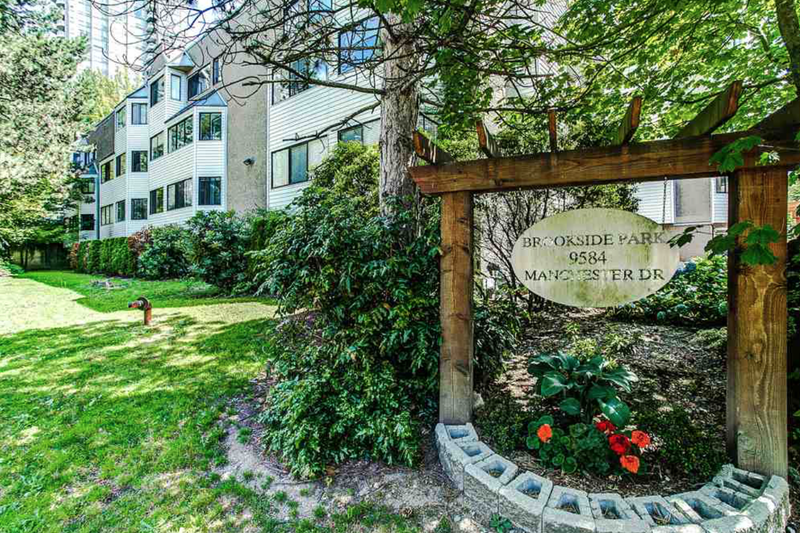 Walking distance to skytrain and the Lougheed Mall. Centrally located with Skytrain that goes to Downtown, New Westminster and future Evergreen line to Coquitlam center.